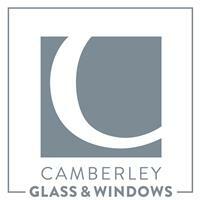 Camberley Glass & Windows - Fascia/Soffits/Guttering, Glass, Windows/Doors/Conservatories based in Camberley, Surrey. Camberley Glass and Windows' roots can be traced back to a family run group of companies established in 1965. The company undertook glazing work, specializing in servicing the demand for ‘new build’ housing. Continued growth over the years has seen the company branch out into all aspects of the glass and glazing industry including new and replacement windows, doors and conservatories orangeries, bespoke glass shower enclosures & balustrades, stunning skylights & lantern lights. Our team of dedicated personnel have over 200 years of combined experience with the majority of them working together in excess of 20 years. We also have extensive product knowledge and are able to service anything from a small reglaze to more complex glazing requirements. We have a strict health and safety policy and are fully qualified on all aspects of current requirements and regulations, including method statements and risk assessments. We are contracted by numerous schools, hospitals and councils in the region including subcontracting for Pilkington’s and nationwide commercial and residential insurance companies. Our home improvement side of the company has thousands of completed installations with 80% of new business coming from personal recommendation. We don’t use commission only sales staff, only employed advisers and we can guarantee no pressure, no gimmicks, no false pricing. Instead we will arrange a short friendly visit to your property, followed by a written quote. All incoming calls will be answered around the clock 24 hours a day so please don’t hesitate to call.